Viking has announced today the launch of its new season of 2020 and 2021 ocean and 2020 river cruise programmes. With prices starting from £1,195 per person on a seven night Danube Waltz river cruise and from £1,940 per person on the Iberian Explorer ocean cruise, guests who plan ahead can choose from a range of different destinations to suit different budgets. As well as a range of new ocean itineraries available in 2020 and 2021 including the ‘Caribbean & Mediterranean Odyssey’ and the ‘South Pacific and the Land Down Under’, the cruise line also announces its new 2020-2021 Viking World Cruise. The grand voyage will span 161 days, six continents and 75 ports, with overnight stays in 13 cities. Setting sail on December 14, 2020 from Miami, the itinerary will include six new ports of call for Viking, including Honolulu and Nawiliwili, marking the company’s inaugural visit to the Hawaiian Islands. The new itinerary will allow guests to explore the islands of the Caribbean and the South Pacific; call upon ports in Asia, from Hong Kong to Bangkok; explore countries of the Middle East, including Oman, Jordan, Egypt and Israel; and sail through the Mediterranean before concluding in London. Prices for the 161-day cruise, sailing through 33 countries start from £45,995 per person. Viking revolutionised river cruising with the introduction of its state of the art Viking Longships which, since their introduction in 2012, now make up 80 percent of its 78 strong river fleet. Viking is quickly expanding its fleet and portfolio of river cruise itineraries to meet demand, with plans to add seven new river vessels to its fleet in 2019, including six Viking Longships and an additional ship specifically designed for Portugal’s Douro River. One of its most sought-after itineraries Portugal’s River of Gold has already been on sale since last year with all the 2019 sailings nearly fully booked. In 2020 Viking offers travellers the rare opportunity to view the Passion Play in Oberammergau which is only performed once every 10 years. Sailing the Danube River from Germany, through northern Austria to Hungary, before exploring historic Bavaria and the enchanting city of Salzburg, thebirthplace of Mozart and the filming location for The Sound of Music. The itinerary takes in a dramatic performance of The Passion Play—a depiction of the trial, suffering and death of Christ. A 400-year-old pledge to God that is celebrated once every ten years, guests will witness this time-honoured tradition. Prices for this 12-day cruise, sailing through 5 countries start at £4,375 per person. Travellers can discover Kiev’s rich heritage in the 1,000 year old Ukranian capital on this new itinerary which covers two countries in 12 days and includes 11 guided tours. Sailing the Dnieper River, calling at Odessa, the “Pearl of the Black Sea” guests will experience Ukraine’s enduring treasures. Following an ancient trade route across the Black Sea, the itinerary includes a stop in historic Bucharest, Romania’s elegant capital where guests can immerse themselves in its old-world charm. Viking now offers a three night extension to Istanbul on this itinerary, allowing guests to trace the Ukraine’s Byzantine influence to its source and to visit important religious sites such as the spectacular “Blue Mosque” and legendary Hagia Sophia, and to gain insights into the rich history and culture of the Ottomans at Topkapi Palace. 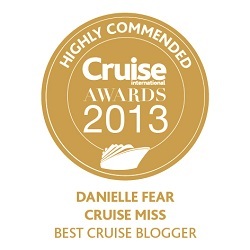 Viking’s ocean and river cruises consistently win customer-voted and industry-recommended awards. 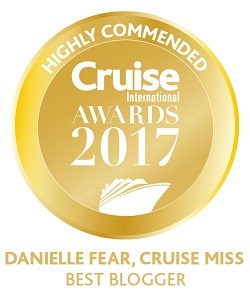 In 2018, The British Travel Awards recognised it as Best River Cruise Line and Best Midsize Ships Cruise Line. 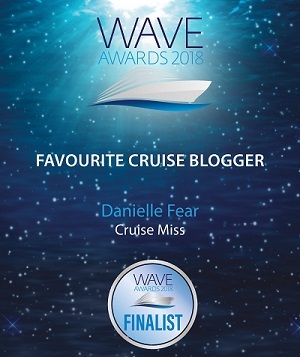 The cruise line also received recognition at the Food and Travel Awards when it was named Best River Cruise Line and Cruise Line of the Year and Best Boutique Cruise Line and Best River Cruise Operator at The Times and Sunday Times Travel Awards, as well as taking the title of Best River Cruise Line at the British Cruise Awards. 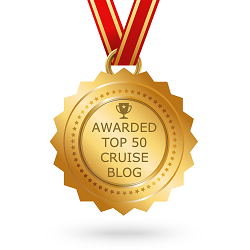 With over 1.5 million members Which?, the largest independent consumer body in the UK, named Viking a Recommended Provider for its river cruises. Guests can take advantage of early booking discounts including a saving of £1,000 per person on every river cruise booking before 31 March 2019. For selected ocean cruise itineraries in the Mediterranean and The Americas & Caribbean guests can save £500 per person before 31 January 2019. All onboard gratuities are included.